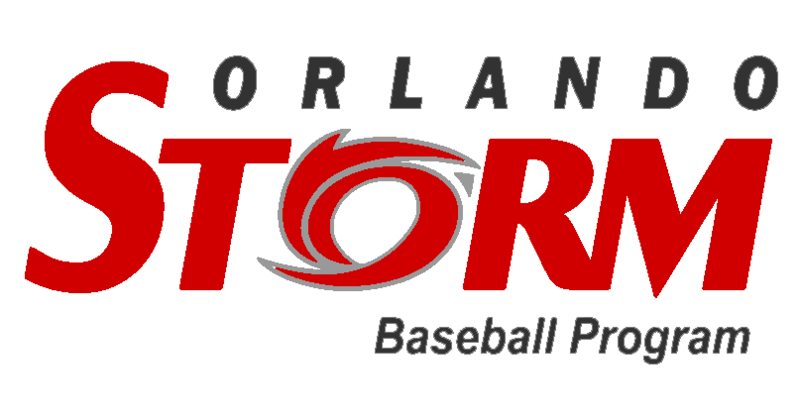 The Orlando Storm program provides competitive and advanced baseball development while instilling discipline, teamwork, sportsmanship, honesty, and respect for the game of baseball. Q. What is a tournament team? A. A tournament team is a team of select athletes that represent our league on a team that plays in regional tournaments and events against other tournament and travel teams. We call our tournament teams the Orlando Storm! Q. When and where do we play games and practice? A. Game schedules vary based on season. Generally, we practice 1 to 2 times per week and play in a tournament event 2 times per month. Most events are in Central Florida and Greater Orlando. Our practice fields are located in the Downtown Orlando area (Trotters Park and Ben Crosby Field). Q. How can my child try-out for the team? A. Each season (Spring and Fall) try-outs are held for the tournament teams. Q. Will we get a uniform and equipment if we make the team? A. Yes. The Storm program takes great pride in the quality of our uniforms and equipment that we provide to our players. Players will typically receive a hat, jersey, pants and a belt. Players at certain age groups occasionally receive bat bags, cleats, batting gloves, cage jackets, practice shirts, and other related baseball gear. Q. Does it cost money to play on the tournament team? A. Yes. The fees vary by season, but are approximately $50 to $150 for the entire season. They are significantly less than "travel" baseball teams due to our reduced costs as a league (Orlando Babe Ruth) affiliated program. All teams offer scholarships for players in financial need. Q. What ages can play on the tournament teams? Q. Are there geographic boundaries to play for the Storm? A. Yes. We do have restrictions based on zip codes or the player’s school. These restrictions are established by our umbrella organization – the Babe Ruth league. For a complete list of eligible zip codes please contact or . Q. Do players need play in the Orlando Babe Ruth recreational league in order to play for the Storm? A. No. In the fall season players can play for the Storm team and not take part in the recreational league season. However, in the Spring season it is required that all Storm players must play in the recreational league. Q. Why should we play for the Orlando Storm? Focus on fundamentals, team building, and making baseball fun again! Q. How can I find out more?